When I became a mom, I wanted to read every single parenting tips book and do everything the “right way.” However, I quickly learned that, A) I do not have much time to read and B) There is no right way. Did you know that mamas? There is no right way to be a parent. Everyone is going to do things differently and that is okay. The beautiful truth is that God has given each of us unique children that were intended for our unique selves. He has fully equipped us to parent them. Once I started to wrap my brain around this truth, I was able to relax and soak in little parenting tips here and there. As I read parenting advice from someone else, I always remind myself that they are sharing from their experience and then look for what I can glean from their tips. 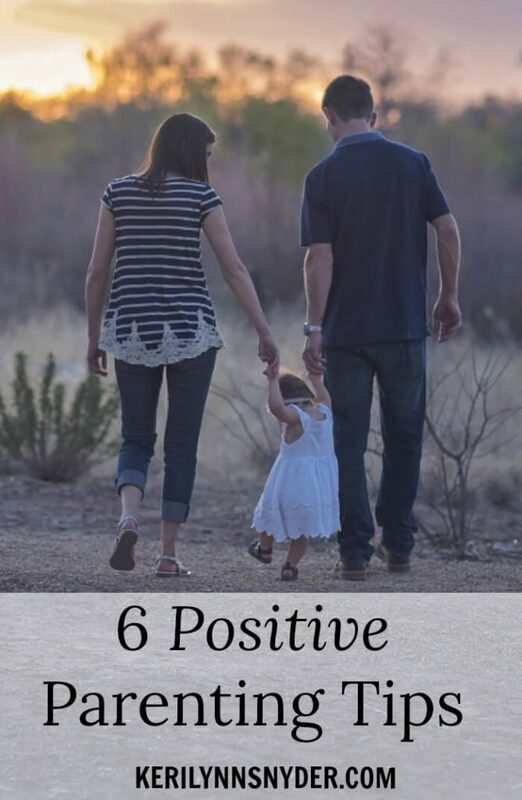 There are countless parenting tips that I could share with you, but I wanted to just give you a handful to focus on. Because I know, you are probably quickly skimming this as you hold reheated coffee. As mamas, we are so nervous to ask for help, but we all need it. Ask your husband for help, ask a friend, or a neighbor. The point is to humble yourself and just ask. I love Elizabeth’s suggestion to use a Mommy’s Helper. If you can find help like that, go for it because what a gift! Remember, everything is just for a season. One of my biggest struggles as a new mom was getting stuck in the mentality that the newborn stage was my forever stage. Whatever hard stage you are in, it can be so hard to to look beyond what is present. All we can see is the chaos and stress, when in reality, everything is just for a season. I love Rebekah’s gentle reminder to moms that it is going to be okay. She goes on to share so many wonderful suggestions for moms of little ones. We all need another mom to remind us of these truths. I cannot say it enough, mamas, we need each other. When I read how Chelsie said, “Don’t mom alone.” I was nodding my head in agreement. When we are alone, all the ugly things start to rear their heads. Suddenly, we are sure we are the only ones who have a screaming baby, we compare and contrast, and sink deep into a pit of misery. However, when we are surrounded by others, we realize every single person has struggles. Other moms have screaming babies and hard days too. Choose to be open with your friends and allow the flaws to show. Text an encouraging friend when you are having a rough day. When we are real with each other, the true friendship forms. When tiredness and the demands of parenting are combined, the last thing on my mind is grace. I am quick to lose my temper and say things I later regret. The more I grow as a mama, the more I realize the importance in choosing grace. Every day, I am teaching my little ones lessons about life and more than anything I want them to see grace sprinkled throughout our days. With many daunting parenting tasks, I have had to remind myself to stick with it. We recently transitioned my daughter to a big girl bed and I was dreading this. Then we did it. There were some challenges but we pushed through and it was a success. I love Ruthie’s potty training tips and how she encourages moms to be consistent (and she gives other incredible tips I wish I had read with my oldest!). Carve out the time for your family. Life can quickly become so packed with all of the things. Between sports, church, and school your calendar can become overfilled. While these are all good things, it is important not to neglect your family in efforts to do good. When I saw Ashley’s idea for a family night complete with conversation cards, I immediately was on board. Far too often, we make things way too complicated. I could go on and on talking about parenting tips. It is amazing what you learn over the years and I know I have so much more to learn. As my kids continue to progress to different stages, I will continue to read up and learn everything I can. You can do this sweet mama. Yes, there will be crazy days full of chaos, but there will also be beautiful moments that you want to hold onto forever. P.S. Want to learn more parenting tips? Make sure to grab this bundle before it is too late. It includes Ruthie’s 7 Key Tips to Save Yourself from a Bad Day (Or Life) which is valued at $25.00 and so many other incredible resources! I am super excited about this so don’t forget to get yours today! While you do get some incredible bonuses with the bundle, I wanted to offer a bonus of my own! Buy through my affiliate link, and you will get a PDF copy of my book, Why Just Survive When You Can Thrive + 7 Days to Get Started with Meal Planning PDF. You can redeem your bonus by sending me an email (hello@kerilynnsnyder.com) with your receipt. You just have to buy the bundle using my affiliate link to get this extra bonus! This is so spot-on, and I wish I had read it when first becoming a mom. I needed to know the right way to parent, but as you say, there isn’t a right way! Love all your thoughts. It definitely helps change the focus! Everything is for a season, great tip. I remember when my daughter was little and used to spit up. I wondered, when is she going to stop barfing lol and one day it magically stopped. So yes, everything is just for a season! These are such great tips! Parenting can be the greatest and most difficult job, and it is important to remember that we are not alone. Finding support and asking for help are so important. Love this! I need to remember to give myself and my kids grace. And I need to feel more comfortable sharing openly with my mom friends and asking for help when I don’t feel like I can make it on my own. I’m so thankful that I have great mom friends who can step in and help and encourage me. Thanks Victoria, it does help so much. Looking at things in smaller stages than one big stage.